Jamaican lead singer of the reggae band Third World who was also a member of Inner Circle and the duo Bunny & Ricky. He started his career as part of the resident band Charlie Hackett and the Souvenirs at the Kittymat Club in Kingston. The profits from his 2012 single Land We Love went to charities that included the Jamaican Children's Heart Fund and Chain of Hope. He married and had eight children. 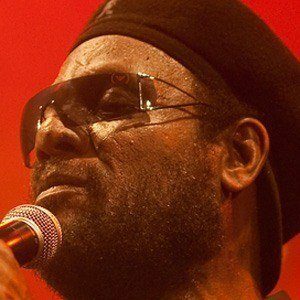 He worked with producer Lee "Scratch" Perry as a backing singer in 1974.